For years we've done this little thing called High Low Love at our house. At the end of the day each of us shares a high, a low, and something that made your heart happy (a love - could be a piece of chocolate, a beautiful flower, a warm hug, a milestone reached, a ray of sunshine). It's a great opportunity to listen to the kids, and for them to know they're being listened to. It also encourages gratitude and thankfullness. And, of course, it's a conversation starter (the conversation can veer off into other directions, as long as we make sure everyone gets a turn). 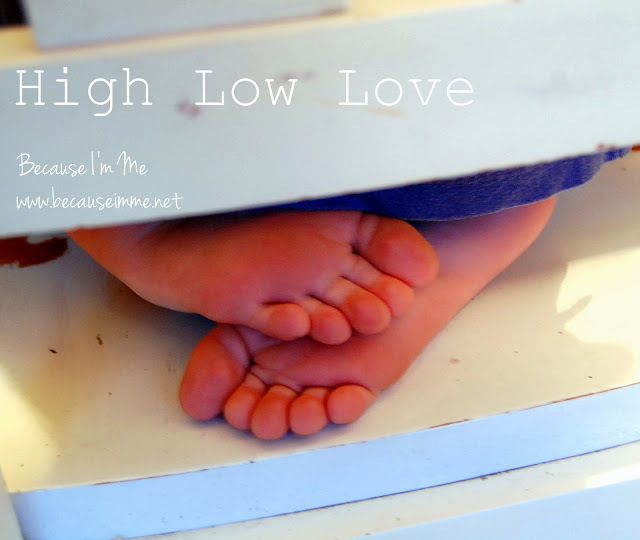 I have to admit that we're not consistent about High Low Love. 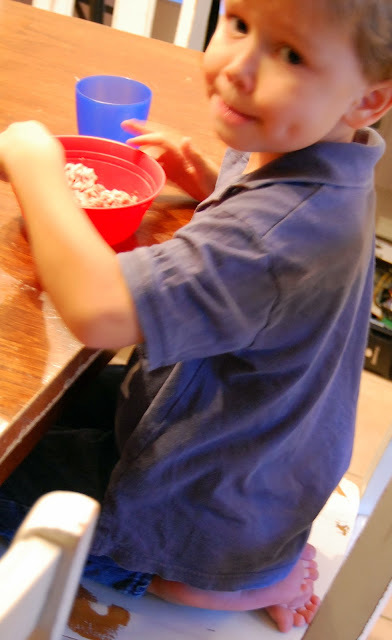 We do it sometimes at dinner and most all the time when we're camping or sitting in front of the fire, but not daily. We do do it enough that River really picked up on it though and he and I have been doing it every night as part of his bedtime routine. The little crossed feet? Love. My heart melts when I see his little feet crossed like this. Always with the same one on top. River is growing up so quickly, every day becoming more boy than toddler, it's nice to have a little reminder of the little one he was. Too darn cute and heart melty. Do you have any traditions like this at your house? How do you, as a family, share about your lives? We do high low sometimes -- got it from The Story of Us with Bruce Willis and Michelle Pfeiffer .. we mostly do it at holidays around the table. I agree. it is a great conversation started and gets the fam focused on being thankful and paying attention to each other.